On June 30, 1983, Guilford Transportation Industries formally acquired the Boston & Maine Corporation in a transaction concluded in Boston. Officials had arrived aboard GTI's Maine Central office train, which posed at North Station while papers were passed. 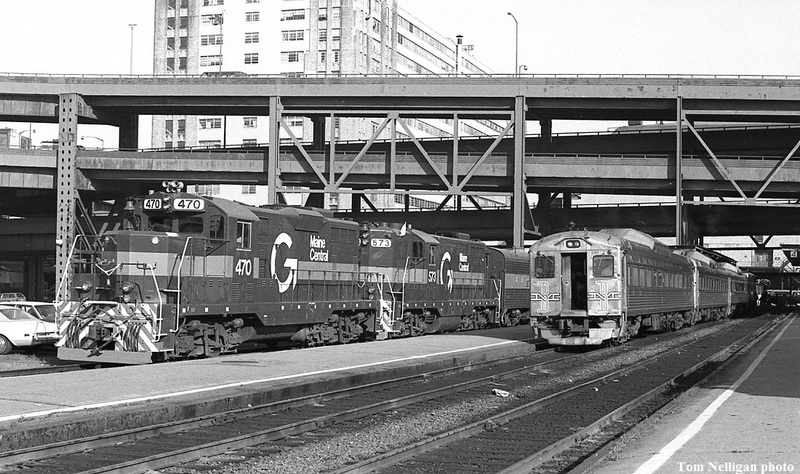 MEC 470 and 573 were both GP7s, the latter equipped with a steam boiler to provide heat to passenger equipment.